Do you know when shows in US she’ll be announced? Hi Mila, unfortunately we still don’t know anything about the US tour. Thank you, Daniela! I really enjoyed your article & thank you so much for your great translation. 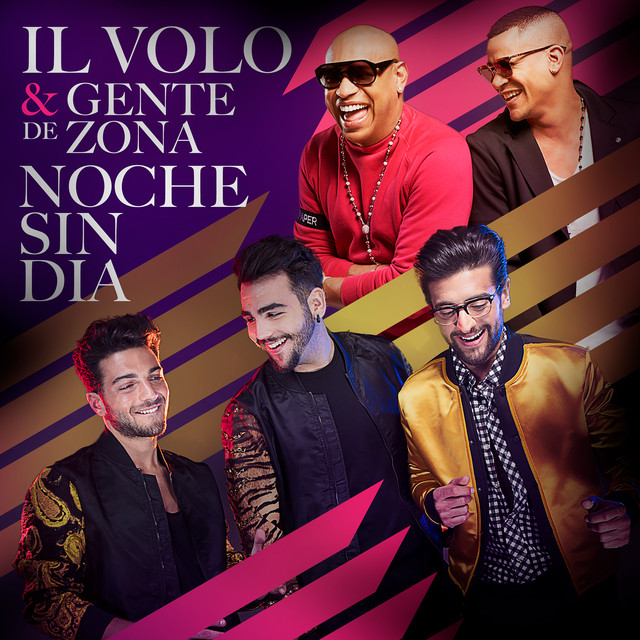 I am so looking forward to seeing & hearing Il Volo when they come to the USA! Thanks a lot, Susan, I’m glad you liked it, I was afraid it would be of little interest. This was a very interesting post! We know about our guys professionalism, but when the good comments come from other people, especially from the Italian press, it is just awesome! Thank you, Daniela! Thank you so much for this article! It helps us know what goes on behind the scenes. I pray I am able to come to see them when they come to the United States!! Thank you for all the work it takes to keep us informed! God bless all of you and your families! Joan e Jim, I’m happy to have you interested in this interview. This was a very interesting and enjoyable article to read. It was a bit technical, but I’ve often wondered how a concert was all put together. It was impressive to read about the professionalism of the guys. I’ve also wondered how they organized their lives so they would be at top form to go on stage. No matter how often they to go on stage, it requires consistent energy, focus and concentration to do every show well. Jeanette, I tried to cut the parts very, very technical. To me, too, it is pious to read about the professionalism of our boys. I know it well, Debbie, I will be very happy that day when I tell you the tour dates. Thank you Daniela for translating this article, I really enjoyed it. It is always very interesting to learn something new about the hard but beautiful work of our boys. They are real professionals. Thanks again for all your work you do for us. You are a good spirit of this site, thanks to you it is so interesting and beautiful. I’m really happy I’ve found THE FLIGHT CREW. Kisses to all of the crew. Jolanta, how many compliments, you make me blush. I am very happy that you appreciate the things I translate to you. I am very happy that you like this site. “the talent and work necessary to develop virtuosity with the lyric voice as an instrument are undeniable. ” Makes me think of the guys competing against rappers at San Remo and probably how much more it takes to sing the genre of Bel Canto and pop opera. And 60 people plus orchestra to put on one of their shows is kind of mind blowing. but what a great job they do and everything looks effortless. Of course the professionalism of Gian, Piero and Igna are what helps make it run. They are the true professionals. Thanks for finding and translating this article. Janet, I have to tell you that I liked that sentence too, recognizing the value of these guys. There can be no comparison between the type of singing performed by our boys and that of the rapper …… the honesty of those who wrote this article, I liked it, so a journalist should be, not to be influenced by his taste personal, but evaluate what he is listening to. This journalist, was able to evaluate, indeed admitted that perhaps he would be bored, but it was not so. I liked the affection of the whole team working for a concert. Beverley, we like to read any news on IL VOLO, but when they are compliments, we are happy, as if they were made for our children. I very much enjoyed reading this, Daniela! Very sweet of you to translate it. I was also struck by the words, “the talent and work necessary to develop virtuosity with the lyric voice as an instrument are undeniable.” Such truth in that statement that takes any negative professional critique to task. Thanks again! Grazie Andrea, I just said the same thing to Janet, a couple of comments above. It is true this statement contains a great truth. have the privilege of viewing on line and in person. learning. I LOVE IL VOLO. Yes, Gale, I have to tell you that some time ago, during the GRANDE AMORE tour, I saw a photograph of IL VOLO with all their team, and they were really many. Too bad I could not find this picture again, I would have gladly attached it. Jeannette, I agree with you, the boys make everything so easy, they do everything with extreme simplicity and to us who look, it seems easy to be able to sing like that, it seems easy to move on a stage while you sing. In reality it is not at all. I saw very awkward singers on stage, they looked like robots. Certainly Piero, Ignazio and Gianluca, are very good and have learned very early to juggle on stage, but also the team that supports them, has his job well done, and even if they are invisible people to us, their work is well done . When I attended NOTTE MAGICA, I saw in a side street to the square, all the street full of wooden boxes with the IL VOLO mark, full of equipment, in the article it says that following the tour there were 5 equipment trucks, an incredible amount of things to carry. I often read the thanks of the guys to their team, and their team responds to them, with professionalism and sincere affection. Thank you Daniela, this is great. I love to hear about the behind the scenes work. 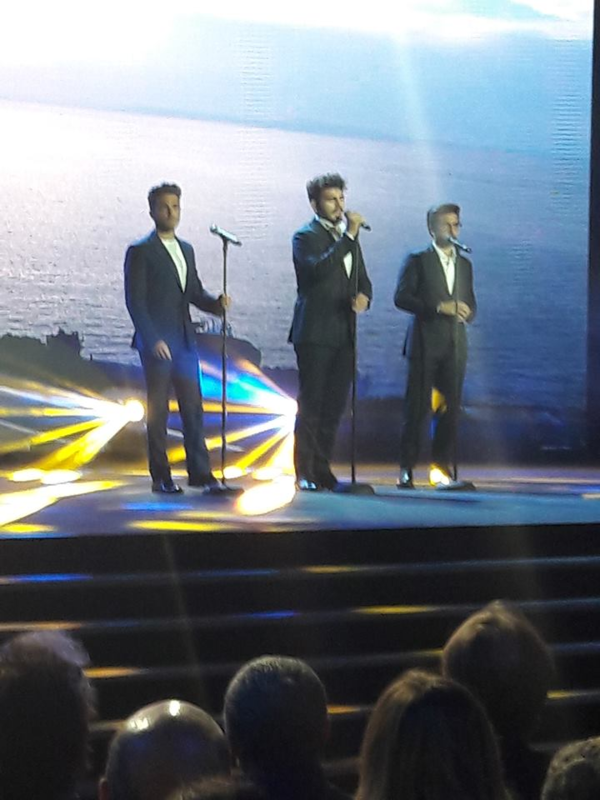 It’s also great to hear from other people who work with Il Volo. Apart from being fantastic singers and lovely people, they have a great work ethic and professionalism. More reasons we admire and love them. Sue is completely right, it’s really nice to find out, how much they are admired by their own collaborators who have only nice words for their “way of being”. And of course, we love them more and more. Certainly Sassylady, stay tuned on this page, as soon as there will be news of the tour, we will report immediately. Beautiful, your appreciation to the boys.